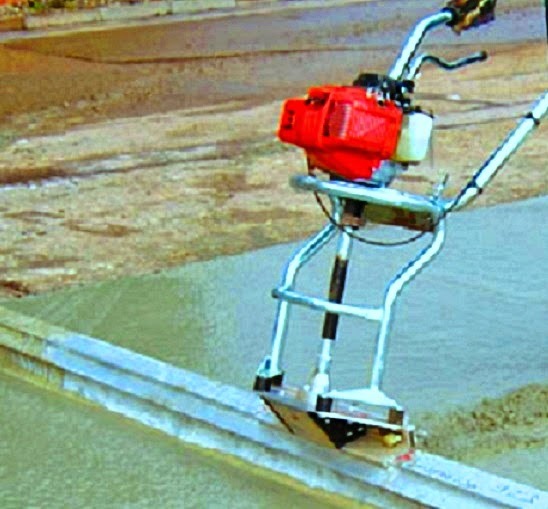 What are the Mechanical Methods of Concrete Compaction? In concrete construction, widely accepted concrete compaction method is vibration, this is a mechanical method of removing void from concrete. Vibration techniques may be applied in internally or externally and sometimes both methods are applied for special purposes. In case of precast concrete, power tamper can be used to compact concrete of low water-cement ratio. Low water-cement ratio means high strength but less workability (stiff concrete) seeking more effort for compaction. As controlled environment is available in precast concrete industry optimum parameter for producing maximum strength and high durable concrete are provided. In this process with the temping or ramming effect for compaction, additional effort is provided by simultaneous vibration of low frequency. In some precast member, mechanical driven tamping bar is used for stiff concrete mixture which includes concrete blocks. Dear reader here we are emphasizing over stiff concrete or concrete having low slump. This is due to in high slump mix, the coarse particles have natural tendency to sink, and with the inclusion of tamping segregation of aggregate may occur. ACI 309R-14 provides necessary information about different types of compaction tools. Dear reader in this blog we will discuss many aspects of concrete vibration according to recommendation by this committee. In our last post we have discussed about manual method of concrete compaction.